Last week was Hearthstone’s most successful on record – drawing more players and money around the fire than at any other time since launch. That’s thanks to building momentum around Curse of Naxxramas – the game’s multi-part single player campaign. The second wing of Naxxrama’s dungeon, the Plague Quarter, went live seven days ago. Outside the Arena, it marked the first time Blizzard had asked players to pay for access to matches – but the community “responded with enthusiasm”. If there were any doubt that Hearthstone would be subject to similar expansions down the line, that’s now been wiped from the board. 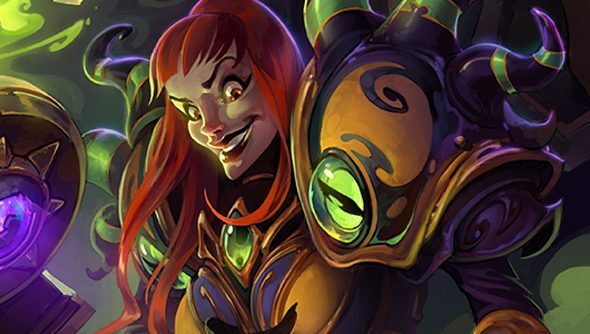 “I think that it really bodes very well for the engagement that we’ll be able to drive in the future with additional content for the game,” said Morhaime of Naxxramas’ success. The release of Curse of Naxxramas’ Plague Quarter last week was complicated by a payment issue that saw some players charged twice. Let’s hope Morhaime isn’t including that revenue in his figures, eh?